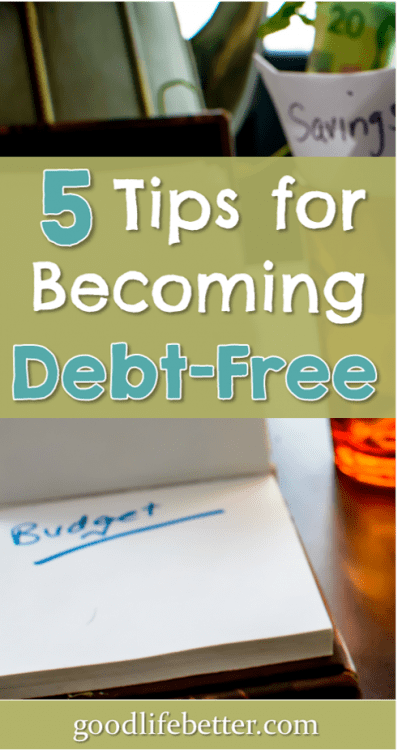 5 Tips for Becoming Debt-Free | Good Life. Better. I love the movie When Harry Met Sally, and when I think about my decision to become debt-free, the scene where Harry finally tells Sally he loves her often comes to mind. That is exactly how I felt when I decided I wanted to get rid of all my debt except for my mortgage. I was so excited, I wanted it to happen right away, as soon as possible. I was practically jumping out of my skin with anticipation of how awesome it would feel to have no debt. With my debt gone, I realized, I could make all my other financial goals happen. Contribute the maximum to my retirement accounts? Check. Fully fund a Roth IRA? Check. Put aside in an emergency fund enough to cover 3-6 months of expenses? Check. Have money left over to contribute to a vacation fund? Check. 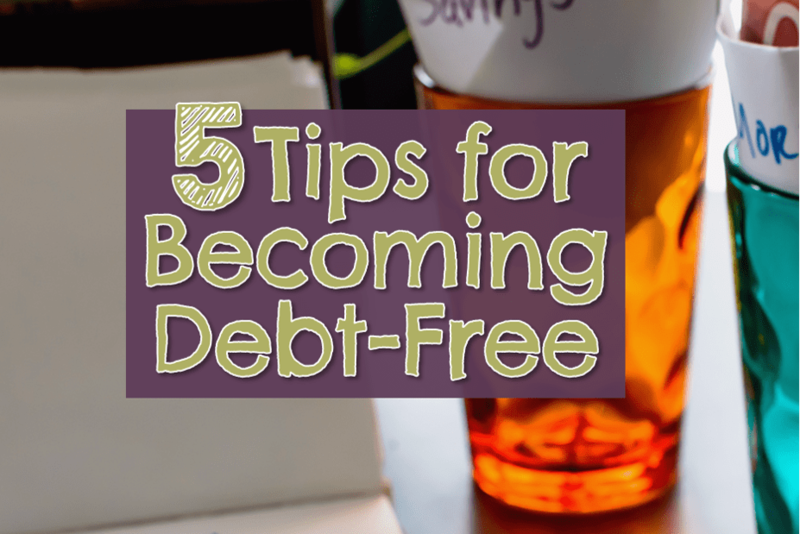 Despite my immense enthusiasm, becoming debt-free was not going to happen overnight. For me to be out of debt, I had to work my debt snowball every day until the very last. There were no shortcuts. When I did the math, I determined that it would take at least 16 months of keeping my costs down and throwing everything extra I could find at my nearly $60,000 of debt for it to be gone for good. My math has proven fairly accurate: as of writing this, I am 13.5 months in and have paid off $50,955 with $8,088 left to go. 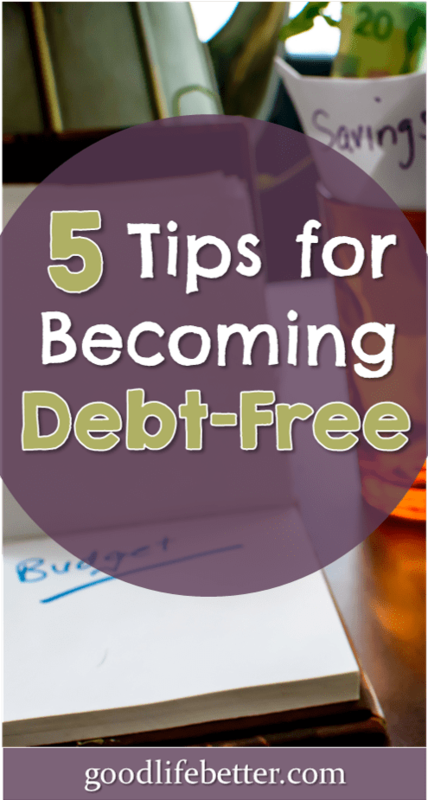 Are you thinking about starting your journey to becoming debt free? Read on for tips from a fellow journeyer. While I probably would never have said being in debt was a good thing, as recently as the summer of 2016, I also don’t think I would have said it was necessarily a bad thing either. Debt was normal. Student loans were normal, a car loan was normal, and using credit cards to pay for emergencies was normal. I was normal. I was also really stressed out about money (an emotion that is likely also fairly normal). My frustration led me to re-read some of the personal finance books I had read years before, and to research new ones and consume those as well. And from these, an idea grew. I don’t have to be normal. Once I realized this, I took the first step to make it happen: I decided to actually do it. You can read more here about this moment and why it’s so essential to getting out of debt. The short version? If I hadn’t prioritized being out of debt over buying more stuff, I would have given up very early on. Remember the When Harry Met Sally enthusiasm described above? From reading the stories of others who have paid off their debt, it’s not uncommon. This is great because that passion will keep you going in those early days when you totally eff up the cash envelop system (it’s envelopes and cash—it shouldn’t be so difficult!). Early on, my enthusiasm allowed me to power through each setback, and kept me cheerful as I dug through my pantry for that last can of tuna. It gave me the strength to eat the same meal 5 days in a row because it meant a little extra available for something else (usually a pedicure). It allowed me to learn from my mistakes and devise strategies for making it work the next time. That enthusiasm will get you past the hard part to finally seeing results. Don’t take it for granted! Did you ever catch The Suze Orman show on CNBC? I didn’t watch it but they would publish it as a podcast a few days after it aired that I would listen to on my commute (I haven’t had cable since 2007 so watching it wasn’t an option). When guests came on, Suze would have them provide their financial “vitals” before discussing their issue. Whatever you think of Suze, hearing guest after guest provide this information got me thinking about my answers to those questions. This led me to create what I call my Suze Summary. I started doing this in December of 2014 and continued to do so every 3-4 months. Of all the things I have done to stay motivated, I think this was the best. You can’t imagine how satisfying it is to see the numbers improve over time. It also makes it impossible to not see the relationship between debt and net worth. One thing to point out is that I started doing this about two years before I decided to get out of debt. I don’t think this was a coincidence. If you are still in a pre-contemplation phase when it comes to getting your finances in order, I would urge you to do something like this. Pull your financial “vitals” together. Walk away. Ponder. Come back and ponder again. It may just be the reality check that helps you commit to getting out of debt. As noted above, debt is normal. This means doing whatever you need to do for a specific period of time to get out of debt is not normal. As such, you may be tempted to keep your debt-free journey to yourself. My recommendation is to resist doing so. Maybe you don’t tell everyone you meet (although in the early days, your enthusiasm may get the better of you). But sharing it with a select few can help you and inspire them. stuff. And it may help them because it can inspire them to take action. If there are people in your life that you know will consciously or unconsciously try to sabotage your efforts, then it is okay to leave them in the dark, or to at least wait to tell them until you are far enough along that you know what you’re doing. Hopefully, when you do finally share your good news they will surprise you with their support. If your traditional methods for celebrating your successes were weekend getaways or front-row seat tickets for your favorite band, the time has come for new traditions. I really like meeting friends for tea, or pedicures which aren’t super expensive and which can be factored into my budget. What Tip is Your Favorite? Which of the tips here worked for you? If you haven’t gotten started yet, have you considered doing something like the Suze Summary described above? Let me know in the comment sections! Thank you! You’re right–these tips will keep being relevant for me even after getting out of debt, especially #1. Living below your means isn’t hard but neither is living beyond them! As for When Harry Met Sally–what are you waiting for! I watch it every holiday season and laugh every time. Very well written article. 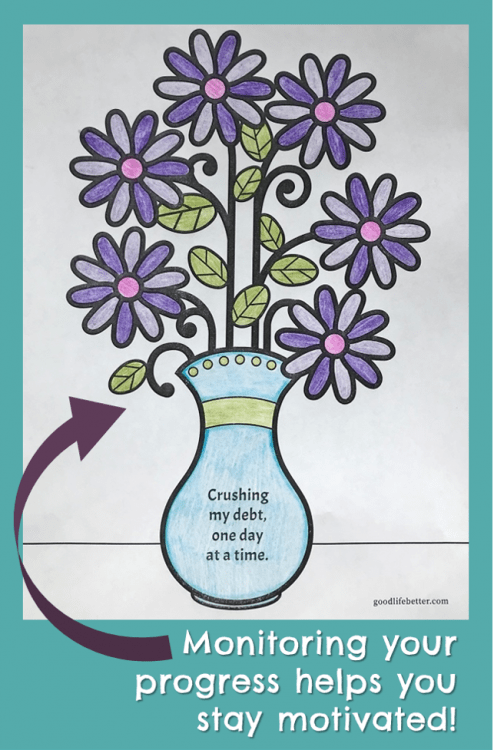 A really good plan for debt reduction and elimination. Good job!!! Thank you—I’m glad you found it useful!